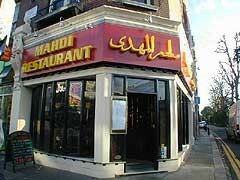 Yesterday we visited Mahdi, a Persian restaurant a few minutes walk from Hammersmith tube station. The environment is really nice with a friendly atmosphere and it looks and feels well…. 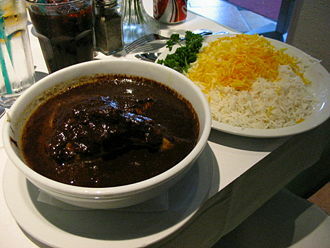 Persian! Beeing in the UK for a number of years I got used to low quality food. But this restaurant is a pleasant surprise. 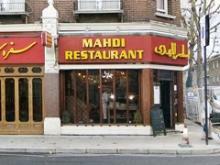 The quality of the food is great and even though I have never had Persian food before I really enjoyed it. We had a number of starters, including humous and dolma that I particularly like and to drink we had a salty yogourt drink (doogh). The main dishes where big and the meat was nicely cooked. For the first time I tried Fenenjan and I can say that I have never tasted anything similar before. The best thing came at the end… and that was the bill, which was very reasonable for the quality of the food and compared with other restaurants in London.